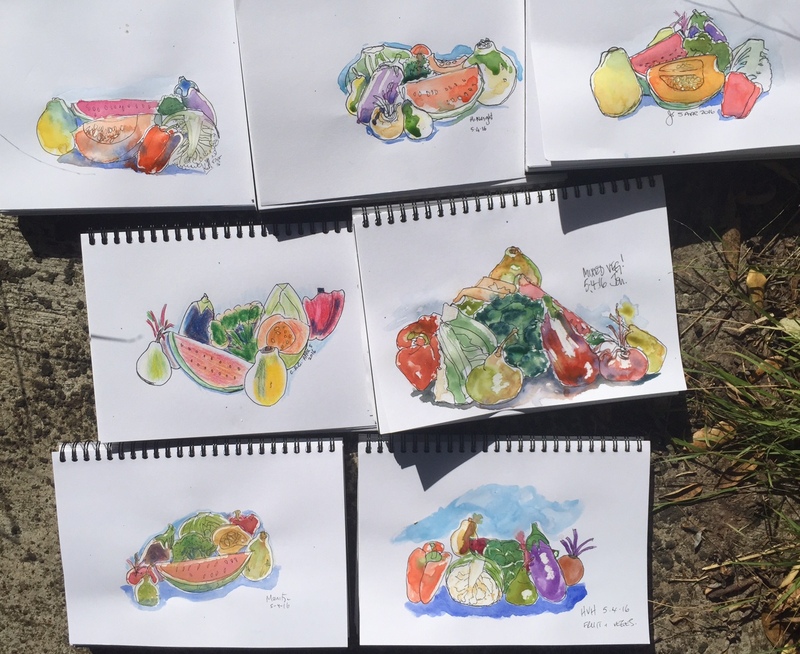 This weeks students were looking at Fruit and Veg in studio and then down to the local greengrocers to sketch in and around the shop. This lesson was looking at intrinsic shapes or, the shapes that give each (in this case piece of fruit) its personality. 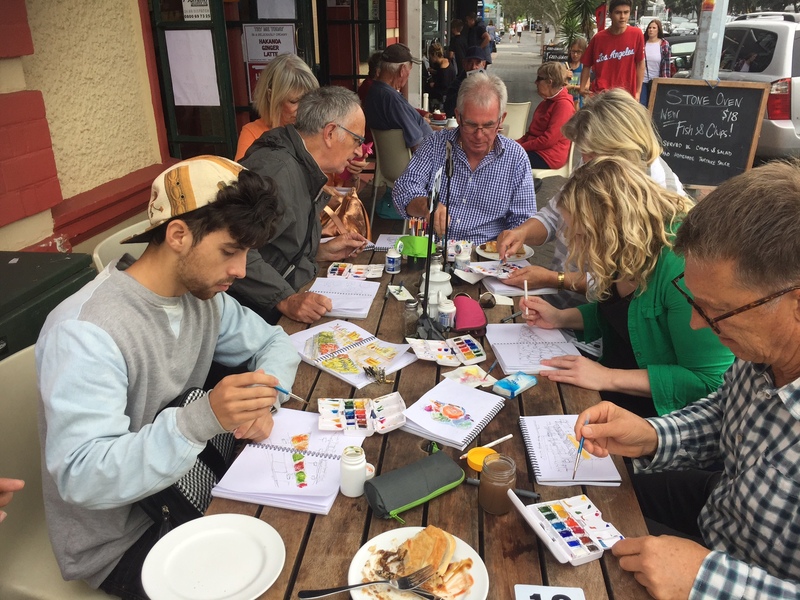 Everyone captured some colourful blooming in class – with lots of laughs – as always and then down to the local greengrocer. Perspective came in to play a bit with some wanting to use the whole 2 pages for their final work great results washed down lots of coffee and interested bystanders made for good day(s).